When a director, musician or author creates something that critics and the public lionize as a masterwork, such as The Last Picture Show, the artist now has a touchstone that his or her work will be measured against. For some, this is a formidable challenge to aspire to, that they embrace and forge ahead, with innovative or retro techniques – damning the torpedoes. For others, it is a crippling non-starter, that paralyzes any chance at momentum or creative inertia. Something as benign as high school friends getting together to make music, can turn into the Beach Boys’ Pet Sounds, reaching a level of high art that inspired the Beatles to push themselves creatively, conjuring up Sgt. Pepper’s Lonely Hearts Club Band – which changed the way albums were produced and released. While far from one hit wonders, The Beach Boys, like countless other artists that came before and after them, spent the rest of their careers chasing their creative achievement zenith, like a mugger that stole a handbag. This illustrates why there are more J.D. Salingers in the world, that gifted us with a burning comet of an accomplishment, than Hemmingways, whose imagination translated to both quality and quantity. The marriage of the two are rare in any creative form, which makes the heater that Bogdanovich was on from 1971 (The Last Picture Show), 1972 (What’s Up Doc?) 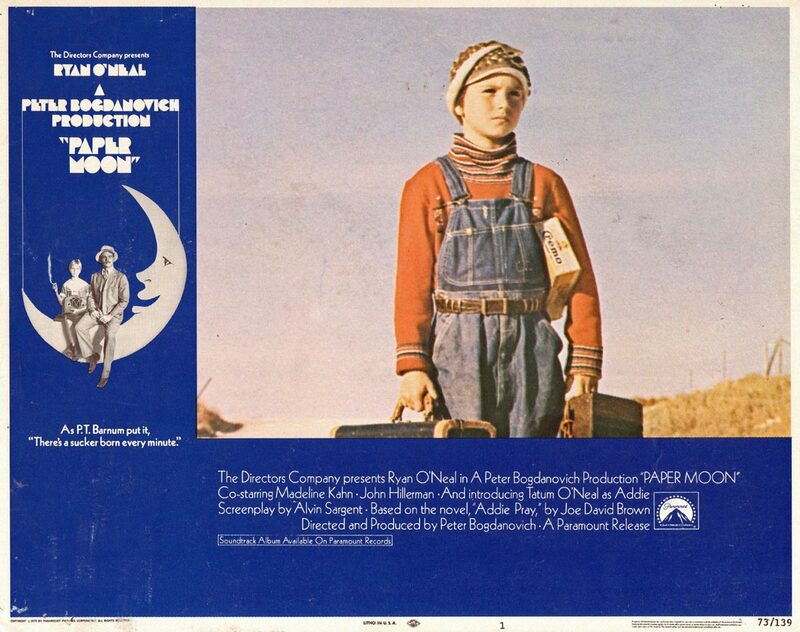 and 1973 (Paper Moon), so impressive. 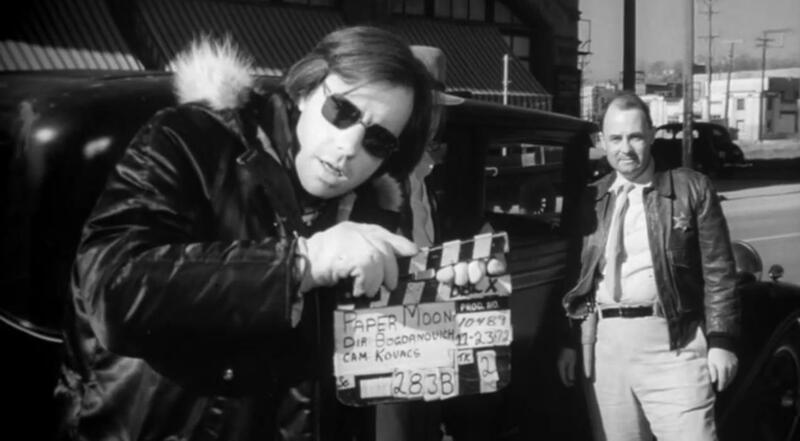 While it’s hard to imagine anyone other than Roman Polanski directing Chinatown (1974), Robert Evans initially offered the property to Bogdanovich – who was riding a wave of excellence that was the cinematic equivalent of Bob Dylan’s creative stretch of: Highway 61 Revisited (1965), Blonde on Blonde (1966) and John Wesley Harding (1967). Armed with both critical and box office street cred, he was far from finished, shepherding another novel to the screen in Paper Moon. 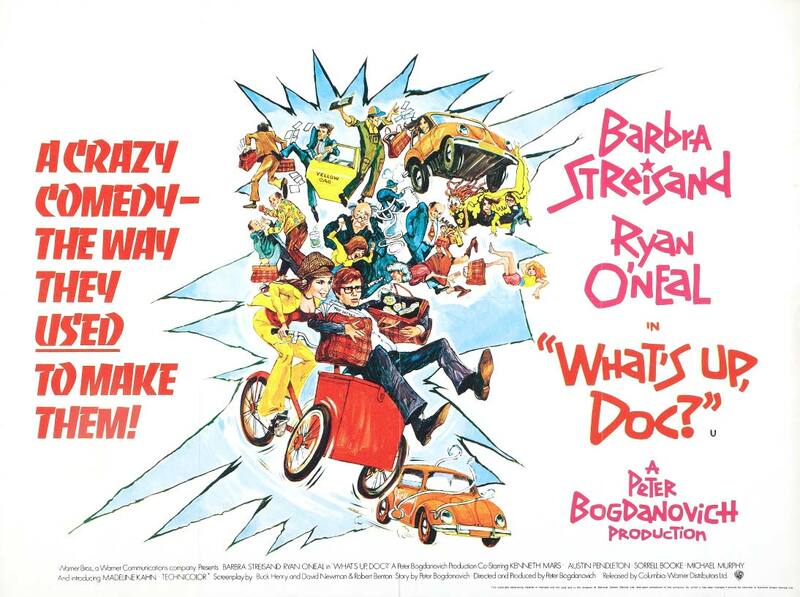 Having gone to school on John Ford and Orson Welles, Bogdanovich was able to blend elements of both Picture Show and What’s Up, Doc? into Moon, a comedy with dramatic undertones or maybe it’s the other way around. Teaming for a third time with cinematographer Laszlo Kovacs, together they capture Bogdanovich’s hallmark of marvelous performances, a dusty-bleak depression era landscape in black and white (that rivals the look of Ford’s My Darling Clementine) and a big screen debut for the ages – “Introducing Tatum O’Neal as Addie” – a role that would win her the Academy Award for Best Supporting Actress at age 10 (the youngest ever to win the award). Bogdanovich, along with Alvin Sargent’s Academy Award nominated Best Adapted screenplay, wastes no time in bringing the main characters together, moving the story quickly and seamlessly – driven by Ryan O’Neal’s’ His Girl Friday rapid fire dialogue delivery. The film opens on a close up of the young Addie Loggins, played by nine-year old Tatum O’Neal, who’s standing over her mother’s casket. In the distance, a 1930 Ford Model A races towards the graveyard – backfiring and kicking up dust before coming to a stop. A purposeful man gets out of the car, hurriedly puts on a sport coat, stops to pick up some flowers resting in front of a tombstone and hastily joins the four-person funeral gathering. Without having uttered a word, we know Ryan O’Neal’s’ Moses “Moze” Pray is a flim-flam man of some sort, and while he smoothly works his con on the preacher and two mourners to gain temporary custody of the little girl (agreeing to deliver her to the only surviving relative in St. Louis), the suspicious gaze from Addie gives us a pretty good idea of who she might be – nobody’s fool. Moze has no intention of taking the girl back east, planning instead to put her on the first train to St. Louis, after using her as leverage in a lawsuit threat against the man who killed her mother in a drunk driving accident. When Addie overhears the negotiated settlement of $200.00 through the door, she wants the money. All of it. She even threatens to bring in the authorities, leaving Moze no choice but to take her with him on his cross-country journey, while he cons widows of the deceased as a bible salesman, with victims taken right from the local obituaries and their names embossed in gold – courtesy of his hand held portable printer roller. Addie is a quick study and takes to the grift like she was born for it, and maybe she was, as she holds out hope that Moze just might be her father – “We have the same jaw.” When a lawman appears from behind the door of one of Moze’s marks, with a suspicious inquiry about the bible in question – “I ain’t never heard of no Kansas Bible Company,” Addie comes to the rescue – “Daddy… can’t we go now? I want to get to church and pray for Mama.” When another bereaved widow is falling under the spell of Moze’s buttery charms, Addie notices her pearl necklace, expensive ring and tastefully decorated living room, blurting out a price for the bible three times what Moze normally charges, but he realizes that in Addie, despite the risk that comes with her propensity to push the limits of the con, he’s found a natural. 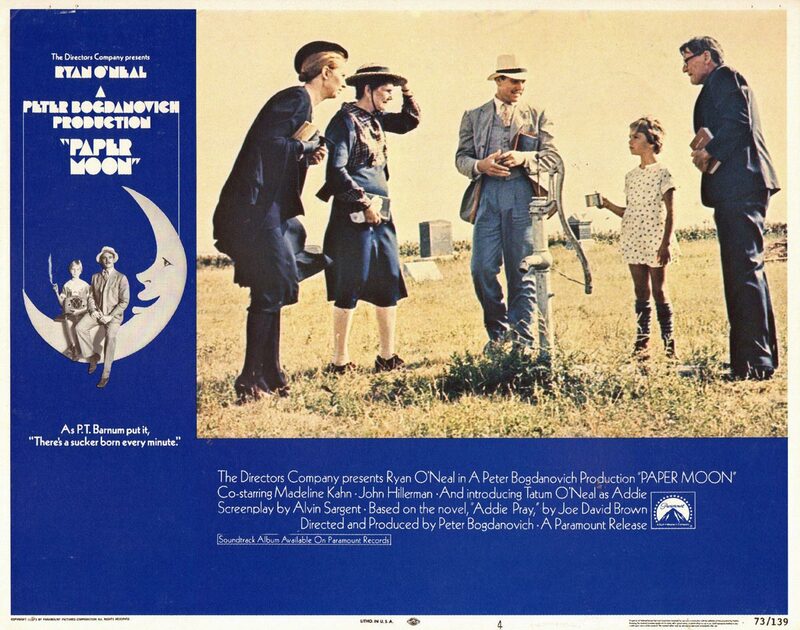 At its core, Paper Moon is a road trip film and is imbued with characters throughout that handle the suffering of the era with a quiet dignity that sometimes make the cons of the real-life father and daughter duo uncomfortable to watch, even while we root for them. 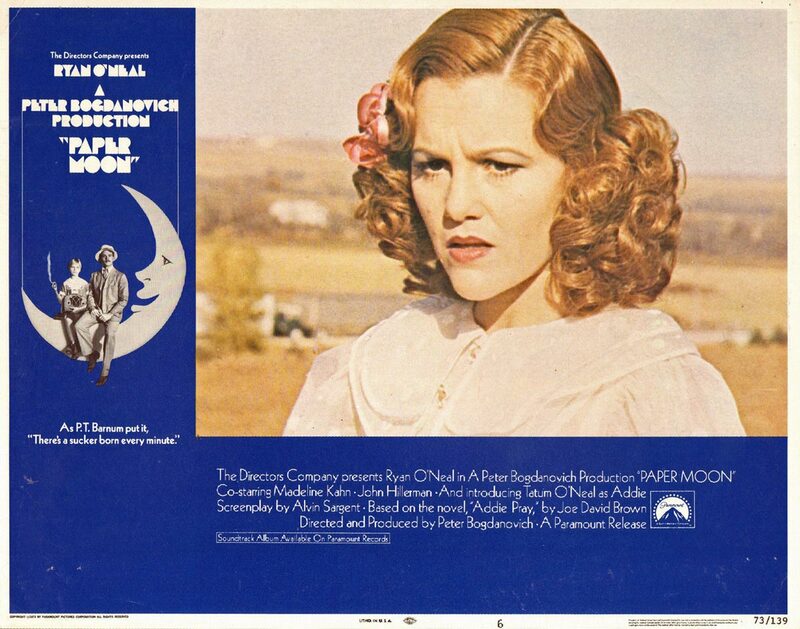 Madeline Kahn’s Trixie Delight character within a character sashays towards the camera with an air of royalty, while her female-teenage-black-valet (P.J. Johnson as Imogene), struggles to carry her luggage – another lesson from Bogdanovich’s master class in how to introduce characters onscreen. Kahn received an Academy Award nomination for Best Supporting Actress, and the simpatico she feels for young Addie in a field during a stand-off for front seat riding privileges shows Kahn’s versatility and ability to steer Trixie away from a one note performance. Kahn even manages to make us feel sorry for her when Addie has had enough of Trixie grifting Moze (who’s so smitten, he can’t see Trixie for who she is) and decides to put an end to the intrusion once and for all. John Hillerman is downright devilish in dual roles as the Bootlegger Jess Hardin and his Deputy brother seeking a pound of flesh. As in The Last Picture Show, the radio often helps to establish the mood, as Addie escapes into the world of Jack Benny and Fibber McGee and Molly. The cars of the depression era that Moze and Addie travel in, are minor characters in their own right, featuring prominently in the storytelling: the 1930 Ford Model A, 1936 Ford V-8 Deluxe and the Ford Model T truck Moze “wrassles” away from Randy Quad (that can’t make it up an incline without a push) mirrors the condition the duo is in as their luck inevitably runs out. In a kind of Orson Welles two-minute take homage, while Moze and Addie drive with the top down, the two argue over such things as giving money to some stranded travelers “But they’re poorly,” to Franklin Roosevelt’s hypocrisy “Why don’t you ask Frankie Roosevelt what he thinks about taking care of himself,” to what train station he can drop-off Addie. As things get heated and the tension in the scene builds, nine-year old Tatum O’Neal, in her first ever acting role, pushes her co-star like a composer getting the most out of his orchestra. It’s a truly remarkable scene. It’s easy to forget what a run of great films Ryan O’Neal anchored in the 1970’s: Love Story, What’s Up, Doc? 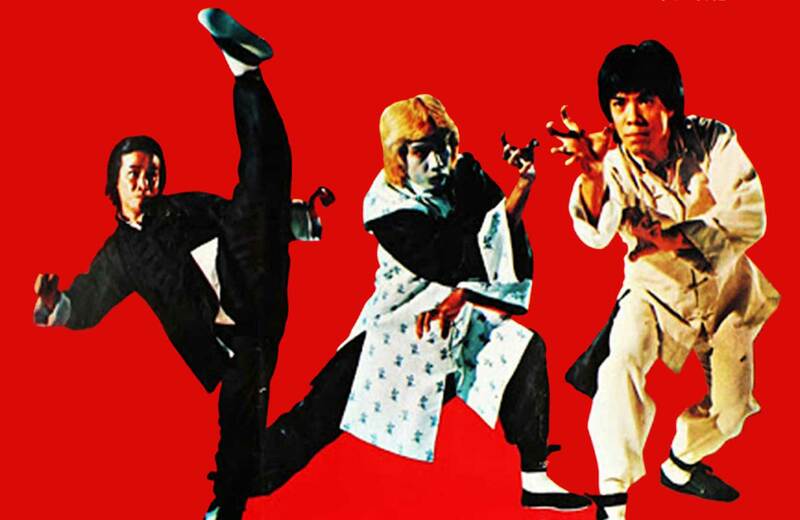 The Thief Who Came to Dinner, Paper Moon, Barry Lyndon and for action junkies – The Driver. It’s also just as easy to forget how much hype was surrounding O’Neal, that was almost impossible to live up to, after the success of Love Story. You’ve got to remember he was touted by Paramount to play Michael in The Godfather, was pushed by Irwin Winkler to play the lead in Rocky, was Streisand’s first choice to play opposite of in The Way We Were (the studio didn’t want a What’s Up, Doc? re-team), pulled out of Zeffirelli’s The Champ, and was strongly considered for Superman. There seems to be a sort of separated at birth career path that Ryan O’Neal and Mickey Rourke followed. Both men were boxers, experienced critical success early in their respective careers, had matinee idol good looks and had a back-stage pass to Hollywood, until personal issues and roles that were turned down for less successful film choices became the word on the street. 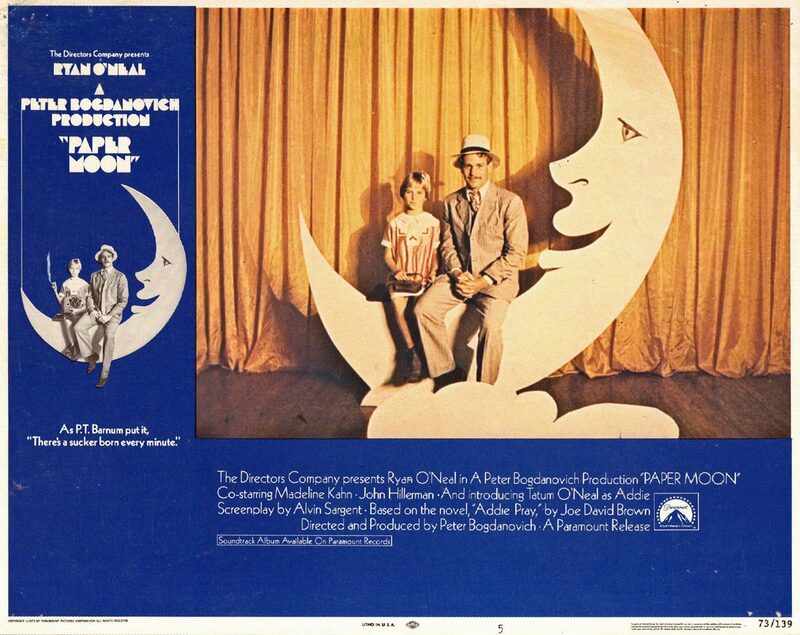 Be that as it may, in Paper Moon, you are seeing an actor at the height of his skills, giving a performance that the audience has to keep up with – like trying to get a signature from a jogger. While Ryan and Tatum O’Neal have had problems in their father-daughter off-screen relationship, in 1973 they created magic onscreen, guided by the sure and steady hand of Peter Bogdanovich, a director who was setting a torrid pace from the decade’s outset. Rumble young man, rumble.